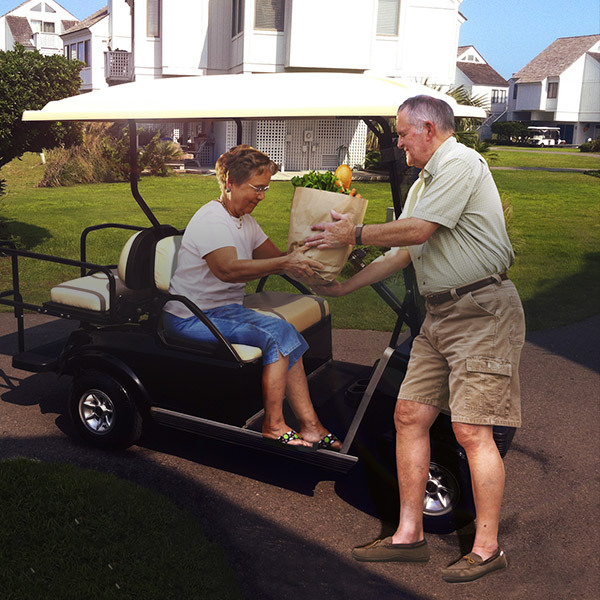 We design your one-of-a-kind custom golf cart to fit your lifestyle and needs. First, you’ll work with our team to outline the specific look, feel and features you envision. Then we’ll build your new street-legal cart exactly the way you want it, from the seats, body and lift down to the chassis. Design your cart and we’ll build it with the safety features you need to make it street legal. 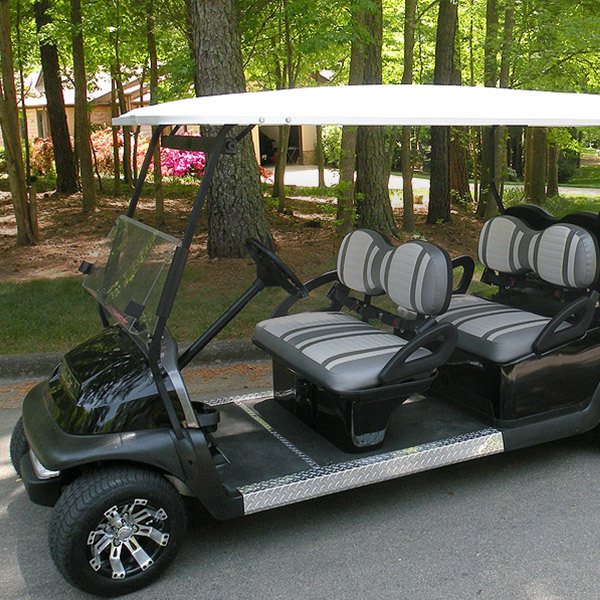 Transform your standard golf cart into a fully customized, street-legal LSV you can use on and off the course. Upgrade your next beach trip and enjoy the only way to travel. Looking for a new set of wheels? At Cary Cart Company, we are your one-stop shop for custom golf carts, street legal LSV carts and golf cart conversions. We specialize in building street-legal carts that are comfortable, unique and high-performance to meet a variety of needs and uses. We’re family-owned, and we pride ourselves in delivering unmatched pricing and customer service. Every cart is made right here in the U.S., starting with a Club Car Aluminum chassis. We rebuild it just the way you want it, and we deliver anywhere in the country. Whether you’re looking to buy a new cart, upfit the one you have or rent one for your next beach trip, we’re ready to help. My wife and I would like to express our sincerest appreciation for your advice in selecting and complementing our new club car. This was an extended project and what great comfort it was to deal with a true professional. 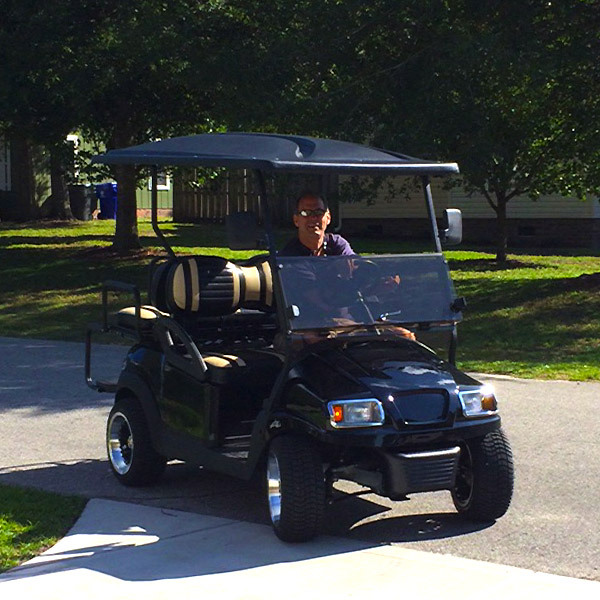 Cary Cart Company did a fantastic job building my custom golf cart! I was very impressed by the attention to detail and also the quality of work. I drive my cart frequently and it was held up very well ever since I got it. Anytime I have ever had a question about how to maintain my cart or the best practices, Cary Cart Company has always provided me with a quick reply and very helpful information. I would highly recommend CCC to anyone who wants a custom built golf cart or a golf cart rental for the beach! This was my second year renting from Cary Cart Co. and I highly recommend them. I have never had any problems and Natalie is a joy to work with — always making sure plans go as contracted. We really appreciate the southern hospitality we received. The cart was perfect, it made our stay easier and made the whole Island more accessible. We will definitely rent from Cary Cart Company again. Thanks for being so gracious!